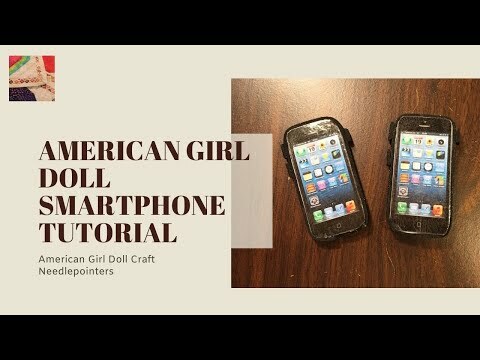 Learn how to make a doll smart phone for an 18" doll (American Girl Doll) like the one shown above with this easy tutorial. Just watch this video and read the instructions below to see how to create a phone for your doll. 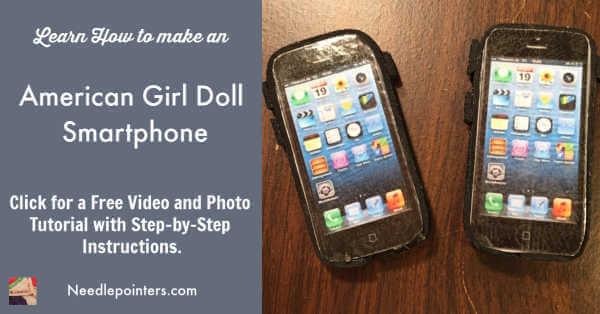 Click to watch the How to make a Smartphone for an 18" Doll (American Girl) video in Youtube. * You can find smart phone images on the Internet. Search the Internet and when you find an image you like, copy and paste it to a writing or word document. * Print the image to see if it is doll size. If not, just resize the image. * After finding the image and resizing it if necessary, print the smart phone image on a piece of plain white paper. 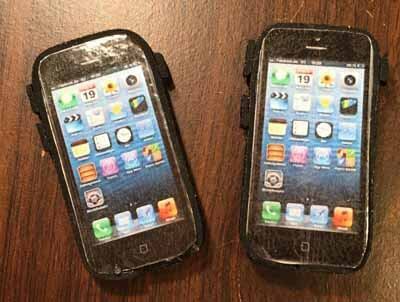 * To help protect the smart phone images, cover them with clear packing tape or several pieces of clear scotch tape. This also serves as a screen protector. * Cut out the images. When you cut the images at this point, it does not have to been exactly on the lines. Just cut leaving some of the white paper showing. * With any color craft foam, stick or glue the images to the foam. * Cut out the front and the back of the smart phone exactly on the lines. * Glue the front and back of the phone images together. * At this point you can stop and use the phone OR You can make it look even more like a smart phone by adding a thin strip of foam around the outside. * Finally add a few cell phone buttons. TA-DA! The smart phone is finished and ready for your doll to use. Get started now making smart phones for all your dolls so they can talk to one another. Look below for some supplies and more DIY doll crafts. Foam Sheets - 6" x 9"